Call of Duty Black Opts II Revolution DLC Map pack has officially been released for XBOX 360. And us PlayStation people have to wait until Thursday 2-28-13 to get it. First thought… finally the new map pack is coming. Second thought WTF man why didn’t they release it for all systems at the same time. 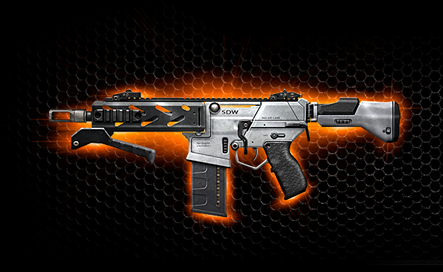 This powerful SMG, accompanied by its own set of weapon challenges for additional XP, is unlocked to all Call of Duty®: Black Ops 2 fans that pick-up Revolution or the Season Pass. Below are the four Multiplayer Maps that it comes with. Opponents must dodge the floodwaters in “Hydro” as they contend for dominance of this Pakistani hydroelectric dam facility, filled with treacherous spillways. Transports players to the historic birthplace of skateboarding, where they will battle it out through the ramps and half-pipes of this massive, epic skate park in a multiplayer environment comprised of unique curved architecture, requiring players to adapt and learn new ways to take cover. Set in the ski country of the French Alps, where players fight their way down the slopes and through a ski lodge, while avoiding the moving hazards of the mountain’s gondola system. A dilapidated luxury resort, ravaged by a catastrophic sandstorm, where a range of long distance and close-quarters combat will mix up the action for all play styles. And Here are the Zombies Map and Game Mode. In this new game mode, run and wreak havoc as a zombie, trying to kill the lone human in the map. Once you successfully kill the human, you respawn as the lone human. You only get points when you’re the human, so it’s important you fend off the hoard of zombies (i.e. the other players) for as long as possible! Overcome a zombie infestation inside a series of collapsed skyscrapers towering over the remains of an obliterated Chinese city. In this new and original Zombies map, players will wield powerful, upgradable Wonder Weaponry as well as combine new buildable devices to fight a relentless army of the undead throughout Escher-esque sceneries over a deep and perilous chasm.